Digital Divide refers to the gap between those who have regular, easy access to modern information and communication technologies (ICTs) and those who don’t. In the past decade, the IT industry and development community have launched various initiatives to bridge this divide. The One Laptop Per Child project is among the better known examples. As digital technologies and media gain momentum and wider coverage than ever before, another kind of digital divide has emerged. This week in Kathmandu, during the Fourth Asian Conservation Forum, some of us have been talking about this new divide — between the Digital Natives and Digital Immigrants. This latter divide is mainly a product of age, not socio-economics. Market research and sociological studies now confirm that today’s younger people – raised on a diet of mobile phones, video games and mp3 (music) players – have radically different ways of accessing, receiving and coping with information. Recognising this new Digital Divide is vital for communication and advocacy work of conservation groups, such as IUCN – The World Conservation Union, conveners of the Kathmandu forum. For nearly 60 years, IUCN has been an effective platform for knowledge-based advocacy. Using scientific evidence and reasoning, it has influenced conservation policies, laws and practices at country and global levels. The world would be a worse place to live in if not for this sustained advocacy work by thousands of experts and activists who were mobilised by IUCN. Much of that work has been accomplished through the classical advocacy tools: scientific papers, books, conferences and, in recent years, ‘policy dialogues’ — meetings where experts and activists would sit down and talk things through with those who make policy in governments and industry. IUCN continues to pursue all these methods, with creditable impact. IUCN’s Red List of Threatened Species, whose latest edition is being released today (12 September 2007), is among the best known examples of how the Union’s work informs and inspires urgent action for saving the world’s animals and plants driven to the edge by human activity. To remain similarly effective in the coming years, IUCN — and the rest of the conservation community — need to evolve and adapt to changing realities in human society. One such reality is the proliferation of ICTs in the past two decades. The International Telecommunications Union (ITU) announced recently that the world’s telephone connections had passed four billion. Largely thanks to the explosion of mobile phones in the majority world, the total number of telephones (fixed and mobile) had quadrupled in the past decade. While exact figures are hard to come by, it is estimated that around 1.17 billion people (almost 1 in 6 persons) have access to the Internet, even though varying levels of quality. These are the more widely quoted figures, but the media mix keeps diversifying even as the size of the overall ‘ICT pie’ keeps increasing. For example, the 1990s saw a channel explosion in both FM radio and television across much of Africa, Asia Pacific and Latin America, hugely increasing viewers’ choice and enhancing the outreach of broadcasting. The popularity of video games (and now, online games) has spawned trans-boundary subcultures that were inconceivable even a decade ago. It is this bewilderingly media-enriched world that IUCN’s members and experts are trying to engage, hoping to persuade everyone — from governments and industry to communities and individuals — to live and work as if the planet mattered. In Kathmandu this week, I argued that scientific merit and rational (and often very articulate) reasoning alone won’t win them enough new converts to achieve significant changes in lifestyles, attitudes and practices. To be heard and heeded in the real world outside the charmed development and conservation circles, we need to employ a multitude of platforms, media and ICT tools. And we have to talk in the language of popular culture. We have come a long way since the 1980s, with the new ICTs evolving parallel to our own understanding of sustainability. When we were involved in processes leading up to the Earth Summit in Rio de Janeiro, back in 1992, most of us were still using fax and snailmail to exchange information. Email was confined to academic circles and the web was not even conceived. By the time Johannesburg Summit was held a decade later, email had come into wide use and static websites were being used to disseminate information and opinions. E-commerce and music file sharing were gaining momentum. 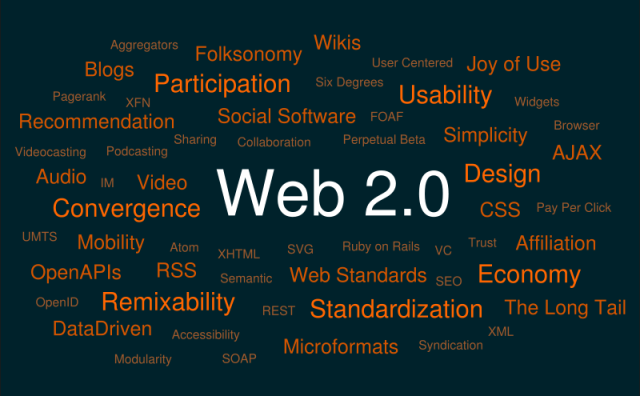 Just five years on, the rapidly evolving web 2.0 offers us more tools and platforms to not just engage in one-way dissemination, but to truly communicate with a two-way flow. Wikis allow participatory document drafting. Web logs or blogs enable faster, easier expression and discussion. YouTube and other platforms have suddenly made sharing of moving images much simpler (assuming we have sufficient bandwidth). In fact, connectivity is improving in many parts of the world, though there still are many gaps, frustrations and cost issues to be resolved. Young people, under 25 years, are leading the charge in entering and ‘colonising’ the new media. Social networking platforms such as MySpace and FaceBook are only the tip of this cyber iceberg. And virtual worlds — such as Second Life, with over 8 million online members — are moving in from the periphery to occupy a clear niche in our new digital world. Every indication is that these trends will continue. IUCN and other conservationists, with their rigorous scientific analysis expressed in technical papers, print publications and the occasional op ed article in a broadsheet newspaper, have to navigate in this whirlpool — and it’s not easy. But their choice is between engagement and marginalisation. The planet cannot afford the latter. I’m not suggesting that conservation scientists and organisations must drop their traditional advocacy methods and rush to embrace the new ICT tools. But they need to survey the new media landscape with an open mind and identify opportunities to join the myriad global conversations. A good part of that is what intellectuals might see as chatter, or tabloid culture. It’s precisely this mass tabloid audience that needs to be engaged for conservation. * Some humanitarian groups now use Google Earth online satellite maps for their information management and advocacy work, for example in Darfur, Sudan, and the Central African Republic. * In an attempt to name and shame offenders, human rights activists are using YouTube to post incriminating video evidence of human rights abuses worldwide. The influential Foreign Affairs journal recently called this the YouTube Effect. Fortunately, at least a few Asian conservation leaders already appreciate this enormous new media potential. In Kathmandu, Surendra Shrestha, UNEP’s regional director for Asia Pacific, echoed my views. Shrestha mentioned how UNEP in Asia is attempting this with ICT-based projects for youth, such as e-generation which, according to him, has involved half a million young people. Such initiatives are beginning to happen, thanks to a few conservationists who are pragmatic enough to exploit the inevitable. But much more needs to be done to make conservation ‘cool’ and hip for Asia’s youthful population, half of them under 35, and many of them Digital Natives. For sustainability measures to have a chance of success, these upwardly mobile, spend-happy youth have to be reached, touched and persuaded. If it takes tabloid tactics to achieve this, so be it. And given Asia’s growing economic clout and ecological impact – with China and India leading the way – the fate of the planet will be decided by what is done, or not done, in our region. While they debate the finer points of conservation strategies and activities in Kathmandu, Bangkok and other cities across our massive region, Asia’s conservation community must quickly cross the new Digital Divide that currently separates them from Digital Natives. Declaration of interest: I was part of IUCN Sri Lanka Secretariat (1992-1994), where I started its communication division, and have been a member of IUCN Commission on Education and Communication since 1991. Read my April 2007 post: Do ICTs make a difference? This is an interesting point of view. However, I cant imagine busy scientists finding the time and energy to do all this new media stuff. Even relating to the press, radio and tv is often done thru press officers in scientific organizations. Imagine the already overworked press officers having to jazz things up with video games, Youtube, wikis and all other things. what you propose sounds good and its desirable but i’m not sure if it is practical. I don’t agree with Abdulla. If a scientist cannot and would not explain her work to those outside her discipline, she either does not know what she is doing, or is socially irresponsible! Communicating research is not a choice; it is an imperative in todays world. you’re hitting a point here. As someone who has grown up on the other side of the digital divide, one challenge for me now is how to teach others to jump it. Email, with all its deficiencies, has become indispensable for conservation organizations and scientists. Web-based tools seem to be more difficult, and even mailing lists are hardly used. What experience do you have in convincing IUCN to adopt web-based interaction tools? Thanks for comment. When I made these points at Asia Conservation Forum in Kathmandu, many heads were nodding, and some who spoke with me afterwards also fully agreed. But how and whether that will translate into individual or institutional practices, I don’t know. IUCN is a complex organisation made up of 1,000+ member organisations, technically strong secretariat and five expert commissions. I wasn’t trying to promote any particular tool to these entities, but hope some individuals will move out of their comfort zones to try out somethings new. It’s often the case with new technology tools – early adopters are enterprising individuals who then convince others and eventually institutions follow suit. We now have the multiple tools of web 2.0 and what is needed is for us to achieve conservation 2.0 that benefits from these tools. « Talking Big Foot in Yeti Land: Got a spare planet, mate?